Restored canals at Untermyer Gardens. 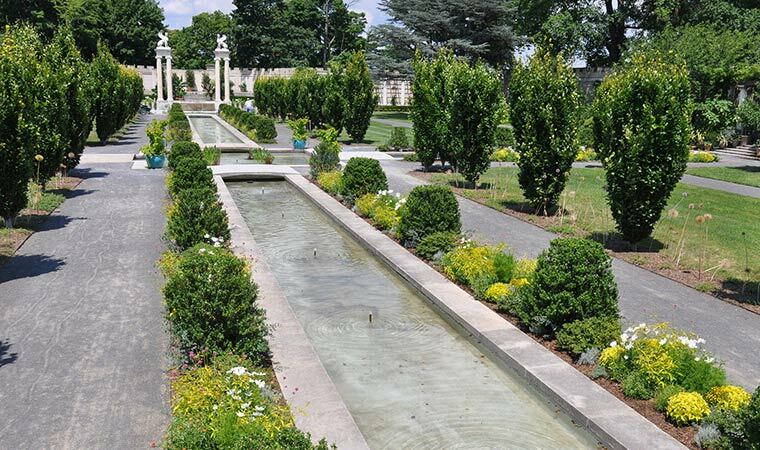 The Untermyer Gardens Conservancy and Scenic Hudson invite you to the dedication of "Rivers of Life," the centerpiece of a nine-month restoration effort at Untermyer Gardens. Rivers of Life is being dedicated in memory of Kathryn Wasserman Davis, who wanted to support projects that could bring people and cultures together to promote a more peaceful world. Repair and restoration the walled garden's canals and pools was supported by a grant from Scenic Hudson. RSVP: email cmichelsen@untermyergardens.org or call 914 613 4502.